March 19, 2019 | Google CEO Sindar Pichai and executive Phil Harrison introduced Google’s cloud gaming platform, Stadia, at the Game Developers Conference in San Francisco. 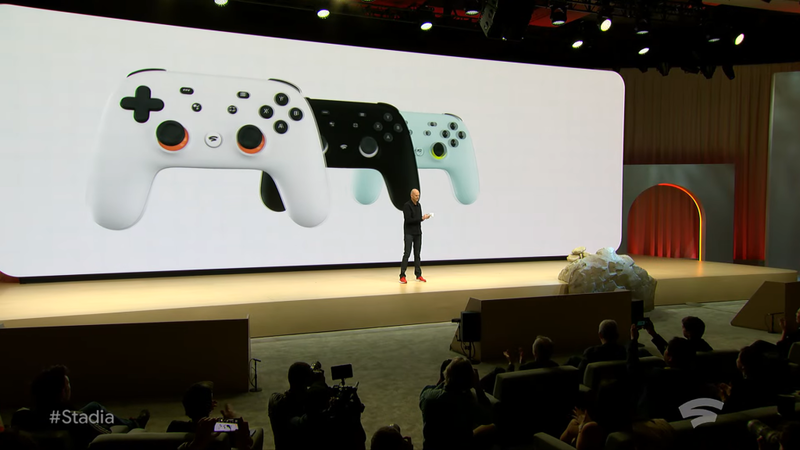 They also showed a Google-made Stadia controller that you can use to play games on any device. The vision is to make games accessible to everyone in the world, Pichai said. Google’s vast data centers will support a cloud that can handle the processing of games at 4K resolution, and they can be displayed and played on any device, from low-powered PCs to smartphones. Read more on Venture Beat.